Warmth and charm can best describe the Glidden House where we have tried to make sure that no one element draws too much attention but rather all aspects of your stay culminate to ensure a memorable experience. Our elegant architectural features fireplaces and a first class restaurant Trentina in our carriage house are but a few of the many attributes we have to offer. Nearby attractions and facilities include Case Western Reserve University- Cleveland Museum of Art- Cleveland Museum of Natural History- Cleveland Institute of Art- Cleveland Institute of Music- Playhouse Square- Cleveland Music School Settlement- Hannah Perkins Center- Cleveland State University- University Hospital and Rainbow Babies, Cleveland Clinic and Children Hospital just to name a few. 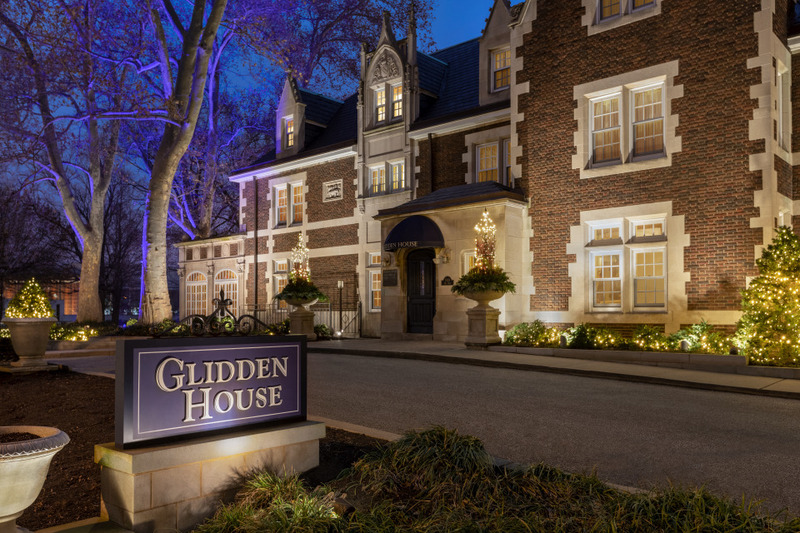 Located on the campus of Case Western Reserve University the Glidden House is within walking distance to Cleveland*s finest museums and cultural institutions and is easily accessible to downtown Cleveland.